Charing Cross Hospital's A&E up for closure. There is more news on the likely closures of local accident and emergency services. As previously reported, the government have charged NHS North West London with undertaking a health service reorganisation. That will see all north west London's hospitals competing with each other and eventually losing some crucial services. Residents in our Borough will be particularly interested in the proposed cuts being considered for Charing Cross, Hammersmith and Chelsea & Westminster hospitals. 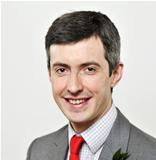 Rory Vaughan is H&F Labour’s Shadow Cabinet Member for Health and Adult Social Services. Hammersmith and Fulham Council sent him as a representative to NHS NW London’s regional meeting to find out more about what’s being planned. Here’s his report. NHS North West London have carried out more work on the government's proposed cuts to local health services since they last presented their views to Hammersmith and Fulham’s Borough select committee on 17th April. NHS NW London say they will be consulting on three options for change. All three involve closing Hammersmith Hospital's Accident and Emergency department - although they claim it will remain as a ‘specialist’ hospital. Their preferred option will be to close Charing Cross Hospital’s accident and emergency department rather than Chelsea and Westminster’s. Their second option is the reverse of that and end A&E services at Chelsea and Westminster but keep those at Charing Cross. Their third option is again to close Charing Cross Hospital’s A&E and not Chelsea and Westminster’s but that plan also involves keeping Ealing Hospital’s A&E instead of the one at West Middlesex. Consultation on all three options will start on 2nd July 2012 and end on 6th October 2012. They have extended the consultation period to fourteen weeks, from the usual twelve, due to the summer holidays and Olympics. There will be two consultation sessions in each borough and one in each of the London boroughs of Wandsworth, Richmond and Kingston - whose residents are also affected. The idea of being stuck in an ambulance trying to reach Chelsea and Westminster when in due course I have my heart attack is not good. The reality is that this entire hospital was a mistake in the first place, was constructed on the premise of closing four existing hospitals (Westminster, West London, St.Stephen's and another) but cost too much even with those asset sales. I prefer Option 2, but hope they have not surreptitiously denuded parts of Charing Cross already (to St.Mary's, for whom life is ever onwards and upwards). Sadly Ealing Hospital's A&E is probably going to go, and Hammersmith Hospital's too..